This story from the pages of the Eccles and Patricroft Journal of September 1916 tells of a horrendous incident at Irlam Steel Works – then known as the Partington Steel and Iron Works. 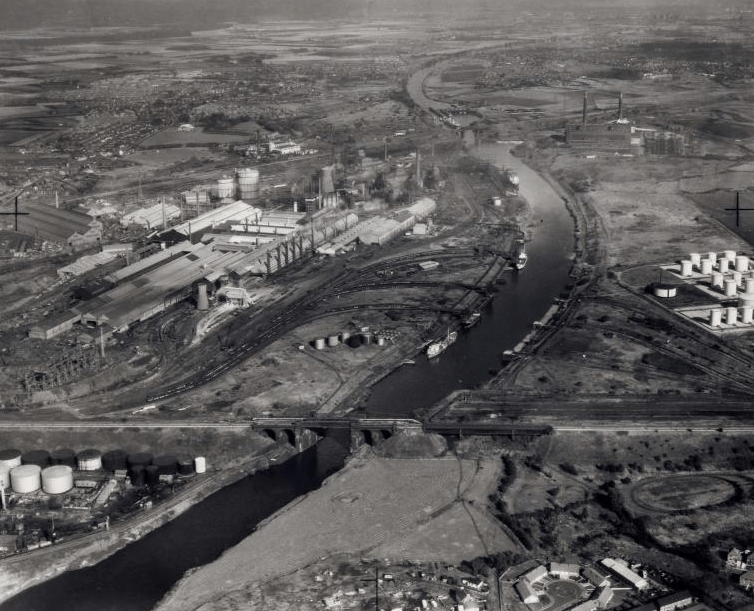 This huge factory was established in 1911 to produce steel for industry, with three blast furnaces and 108 by-product coke ovens supplied by ships docking on the Manchester Ship Canal. 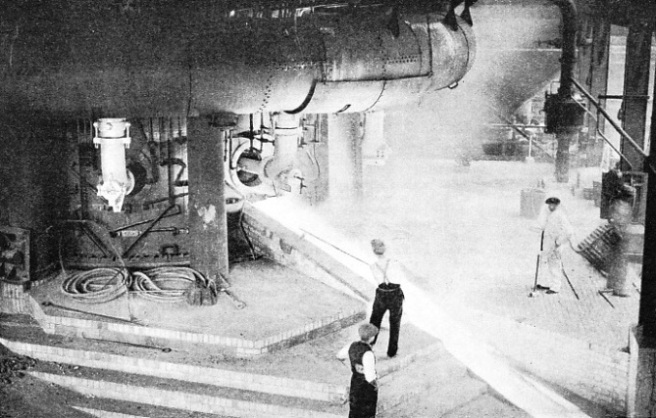 By 1916 with the First World War underway, production had been rapidly expanded with three more furnaces added and an extra 260 ovens, producing 8,000 tons of steel every week. 26-year-old Cadishead man Ernest Darley and his pal Ernest Rigby, 24, were employed as ‘slaggers’: their dangerous job involved removing molten slag in large ladles from the smelting furnaces. These ladles were six feet long, four feet wide and when filled contained eight or nine tons of molten slag. One of the ladles had been filled up and craned to the ground and had been standing for around 15 minutes when for some inexplicable reason it toppled over, enveloping the two workmates in the molten metal. Darley’s face and the front part of his body were horrifically burned and he rushed in what must have been terrible agony into a nearby office where Mr Toft, the clerk in charge, threw a coat around him. This was of no use because Darley’s clothes were already alight and his flesh was described as being ‘charred’. Dr Overend was promptly called to the scene but he was unable to do anything for the two men, so bad were their injuries, and they rushed to Manchester Infirmary in the works ambulance. Sadly, fatherof-two Darley died without regaining consciousness, on reflection it must have been a blessing in disguise with the injuries he’d sustained. Mr Rigby was also unconscious but remained in a life-threatening condition. The steel works had legal representation at the inquest into Mr Darley’s death, which took place at the Manchester City Coroner’s Office. Mr Ireland, from the HM Factory Inspectorate, cross-examined the witnesses, including Mr Toft who had rushed to the dead man’s aid. 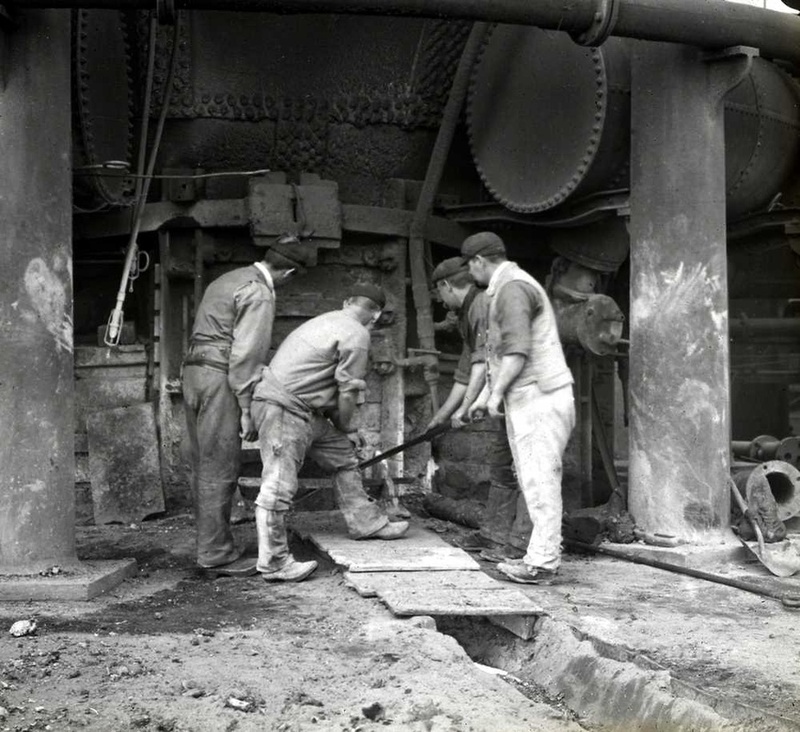 The inquest was told that the workmen considered some of their equipment to be more safe than the rest: some of the ladles had flat bottoms while others were round, making them inevitably more unstable. The Coroner was told this was a first-of-its-kind case: before this horrific accident a ladle had never prematurely toppled over before. Mr Ireland said that he promised to make certain safety recommendations but declined to prosecute the company for health and safety failings. The jury returned a verdict of accidental death and expressed their deep sympathy with the bereaved family, as Ernest Darley had left behind a widow and two young children. Darley’s funeral took place later that week at the Parish Church in Irlam with the Reverend Martin officiating. It is recorded that local residents living on the route to the church had drawn their blinds in a show of sympathy. There were large number of floral wreaths from Darley’s workmates, a number of whom walked in front of his hearse, whilst six of his workmates carried his coffin to his final resting place. With the above in mind perhaps public mistrust of health and safety practices is misplaced, given the horrendous accidents of the past. After all, those who do not learn from history are doomed to repeat it.